Here’s what I really wanted for Christmas … a Rad Power Bike. (The black RadCity is super cool!) Didn’t get it so I may have to wait another year. There are two reasons I wanted this. First, this is a very cool electric bike, perfect for commuting to and from work or to the local store. When I showed my team the Rad Power Bike online, they all shared my enthusiasm. Everyone volunteered to go pick up lunch every day just so they could ride the bike. I said, “We haven’t got it yet!” Yes, it’s that cool … or should I say rad. It’s the perfect bicycle hybrid, merging human strength with an electric motor. The other reason I want this bike is because of the company. 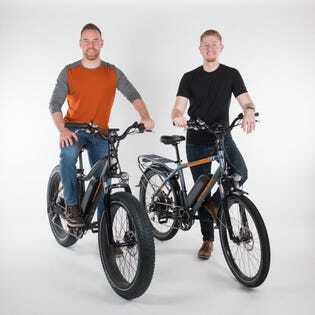 I had a chance to interview Ty Collins, the CMO and co-founder of Rad Power Bikes. We talked about transparency in business, and specifically how you handle a major price increase without losing customers. I love the way he thinks – and I love the way the company is run. There are a few lessons we can learn from Collins and how he runs the company. Transparency: Raise prices and keep your customers by telling them why. In July 2018, a 25% import tariff forced Rad Power Bikes to raise its prices. Rad could have raised prices, sat back and hoped nobody noticed, but that wouldn’t have been a prudent marketing and sales strategy. Instead, they embraced the situation. They were very open about why the prices were being raised and went public with their opinion about trade tariffs. While this didn’t make every customer happy, it allowed the leadership at Rad to diplomatically express their thoughts on what had become a very public issue. They set the narrative in their industry and got ahead of the issue before it became a real problem. Rad openly admitted it had to raise prices. While it did absorb some of the additional costs, it couldn’t take on the entire burden. That’s when you transform your customers into partners. Nobody wants to pay more than they have to, but when they realize the why behind the decision, they come to appreciate the company even more despite the price increase. Customer service and customer experience: It’s not a department. It’s a philosophy. Rad also delivers an amazing customer experience. Collins separates the concepts of customer service and customer experience. In our interview, I thought about debating his view of this, but after listening to his explanation, I realized we’re on the same page, just using different words to describe it. In the end, customer service is not a department. It’s not just the tech support team that manages the customer experience after the sale. It’s a philosophy that Collins and his entire team embrace throughout the entire customer journey. Trust: Building confidence with your customers. Not long ago I wrote an article about trust. I posed the question: How much do your customers trust you? Would they give you a credit card number and just say, “Send me what you think I’ll like”? Trust is a big part of the customer experience at Rad. Most of Rad’s customers never see the bikes in person before making a purchase. The CX team’s job is to ease customers’ concerns, build trust and give them a memorable experience. Building trust and delivering a great experience don’t always mean saying “yes” or agreeing with the customer. There will be times when you have to make hard decisions and say things the customer isn’t going to want to hear at the moment. But, it is the right thing to say to the customer, because it’s the truth. That’s part of what builds trust. If all Rad Power Bikes did was be transparent about the price increase, it might not have been enough. It takes more. First, you have to assume the product that Rad sells is a good product. They wouldn’t have grown their sales to where they are today if it wasn’t. Beyond that, they deliver an expected level of customer service, and the way they conduct business builds trust and confidence with their customers. Add the transparent dialogue and messaging about the price increase and you have a winning combination of strategies that can work for virtually any type of business. Do you treat your customers with respect and honesty? Would they keep coming back if you were forced to raise your prices? The key is in your customer service. Good customer service and CX add extra value that can decrease the importance of price. As I’ve said before, many customers are willing to pay more for the same product or service if it includes a better customer experience. And Rad Power Bikes is living proof.